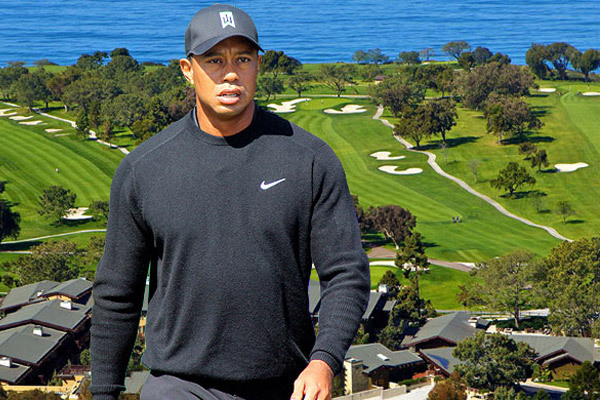 Farmers Insurance Open: Preview and Tips – featuring Tiger’s return to Torrey! 522 days, 17 months, 60 PGA Tour events, 4 Majors, 1 Ryder Cup and 2 hundred million mentions of whether he can surpass Jack Nicklaus’s major record have passed since Tiger Woods last started in a PGA Tour Tournament at Wyndham in 2015. But finally this week at one of Tiger’s happy hunting grounds, Torrey Pines, ‘The Big Cat’ returns looking to start of his season with 80th win on tour. 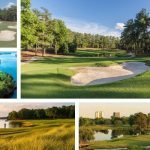 It is hard to find a golf course where the legendary Tiger Woods does not have a good record but at The Farmer’s Insurance Open he has certainly experienced a lot of success. He has already won the tournament 7 times with 5 out of 6 of those were between 2003 – 2008. His first win at Torrey Pines came in 1999 where he shot the 72 hole courses record of 266, winning by 2 shots and holding off fellow American Billy Ray Brown. 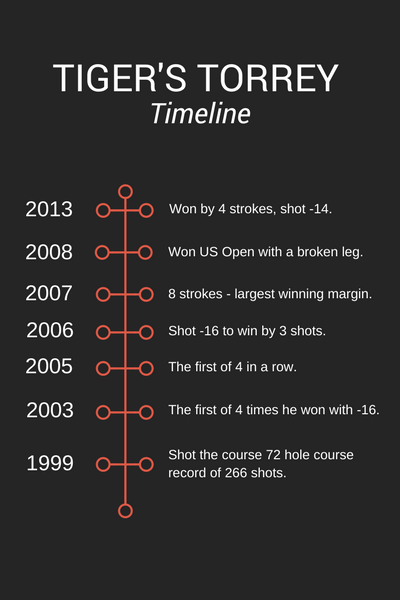 His biggest winning margin to this date has been 8 shots in 2008, the year he also won his most recent major at the US Open – and yes you guessed it that year it was held at Torrey Pines Golf Club. 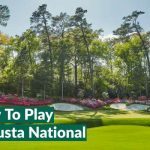 This prestigious PGA Tour event always boasts a fine field and despite the return of Tiger Woods dominating headlines in 2017, there are plenty of other big names looking to spoil the man of the moments return. World number 1, Jason Day will be looking for his first win of the year and his second at Torrey Pines, whilst last year’s US Open champion Dustin Johnson will be looking to follow up his runner up finish in Abu Dhabi last week with a win back on home soil. Phil Mickelson is also one to keep an eye on this year as he returns for his 21st Farmer’s Insurance Open and being back in his hometown, he is sure to have the crowd behind him. However, the most recent winner is Brandt Snedeker who won on the Monday without even having to play a shot after posting his final round 69, on the Sunday before heavy storms suspended play. Snedeker’s victory at – 6 was the highest winning score since 1979. Measuring in at a whopping 7,698 yard, the par 72 Torrey Pines South Course was designed in 1957 by William Bell and skirts the stunning cliffs of the Pacific Ocean which once one of the US Army’s WWII bases. 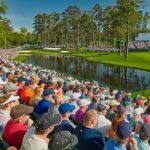 It has played host to the PGA Tour event since 1968 and since its inception has been one of the best tournaments on the calendar. 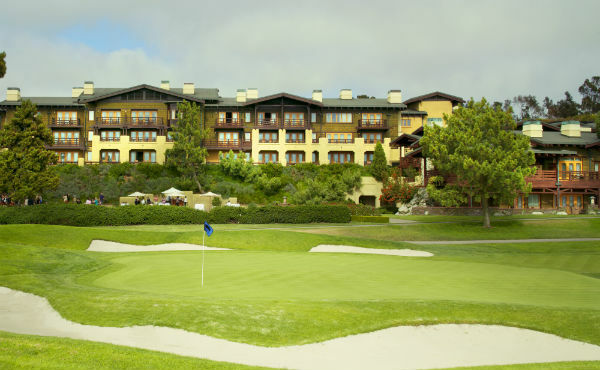 Torrey Pines Golf Club also boasts another fabulous set of 18 holes called the North which has been recently refurbished for $12 millions. A during the upcoming week players are required to play one of the first 2 rounds on the course, which measures in at 7,258 yards. As hard as it is, we must remember that this prestigious tournament does have history without Tiger Woods. Prior to being held for the first time at Torrey Pines in 1968, it had 5 different host courses, with the inaugural one being held at San Diego Golf and Country Club. The first ever winner was Ted Kroll in 1952, with the Tom Weiskopf capturing victory at the inaugural Farmers Insurance Open held at Torrey pines. The first winner at Torrey was Tom Weiskopf who started a long succession of American winners. In fact since the tournament was first played in 1952, only the great Jose Maria Olazabal has been the only European capable of winning. In addition to this, only a further 2 of the tournament winners have come from outside of Northern America. So with American’s dominating previous winners of the tournament let’s see what our YGT Pundits think this week? Whilst Tiger Woods will take all the headlines this week I don’t think he’ll win, nor do the bookmakers placing him at 33/1. I think it’ll be USPGA Champion Jimmy Walker who will provide the best value around the fantastic Torrey Pines with it’s dramatic views of the Pacific and San Diego. At 30/1, Walker will be looking to atone for his tie for 4th in 2016 where his final round of 77 day him 3 shots back from eventual winner Brandt Snedeker. It was closing stages in 2015 that also cost him the title with his closing 36 of 72, 73 leaving him 2 shots outside of the playoff. Provided Walker can string 4 rounds together he’ll no doubt be challenging for what would be his 7th PGA Tour title. BEEEEEFFFFFFFFF. Who else would like to see Andrew Johnston and Tiger walking down the fairway together? 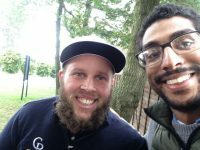 Andrew Johnston burst onto the scene in 2016 and soon became a household name due to his extremely fun loving nature he appears to have on the course. But the man with the beard is not just about enjoying himself, he is also a very good golfer and having won his first professional tournament last year he will be desperate to get a second under his belt. Despite the bookies having him at 200/1 to win this week he is my pick for this years Farmers Insurance Open. With both Tiger Woods and Jason Day making their return I am sure they will be the ones who get most of the headlines this week. Jason Day loves this course with a win and in 2015, 2nd in 2014 and T9 in 2014. If Tiger is going to win this he will need to show better “golf fitness” than he showed in his last outing where a lot of loose shots due to lack of tournament practice really showed. I think everyone in the golfing world would love to see him win but I cannot see it happening. If he can make it through to the weekend then anything could happen! For me however there is one man who stands out in this field. Hideki Matsuyama is on a “Tiger Woods” style run of form with 2 wins, 2 seconds and a T6 in his last 5 events. The world number 6 is in the form of his life and will be the man to beat this week. At 14/1 with the bookies offer 1/5 odds on the top 5 I cannot see this being a losing investment. Other players to note at longer odds would be Hudson Swafford at 66/1 and Martin Laird at 60/1 who are both course specialists. Patrick Reed. With 2 Top 10 finishes already this season and a 65 final round last week, Patrick Reed is looking ready to kick-start his season with a win this week. Having performed the best out of the big names on the PGA Tour last week, I predict Patrick Reed to be the most competition ready this week (sorry Tiger) and while, DJ finished 2nd in Abu Dhabi I predict the time difference and the shift in course layout will mean this week favours those that played in the CareerBuilder’s challenge last week on the PGA Tour, hence Patrick Reed is in prime position to steal the limelight this week. It’s hard to look past Jason Day’s record at Torrey Pines, with a win here in 2015 supported by a T9 in 2013 and a T2 in 2014. The Aussie also had a solid outing at Kapalua in his first event of the season and should be among the front runners along with the likes of Hideki Matsuyama, the form player in world golf right now despite Justin Thomas’ recent efforts. Despite all this I’m going to plump for Dustin Johnson to bag his first win of the season and continue his record having won in every season since turning pro in 2007. Johnson was player of the year last year on the PGA Tour and has continued his form into 2017, with T3, T6 and T2 finishes in his last 3 outings. His T2 in Abu Dhabi last week came after a sluggish start so if he can get over any lingering jet lag and get off to a quick start he could threaten. The Torrey Pines South course is no pushover and a quick look at previous winners here will show you that length off the tee and the ability to hit the ball high and stop it quickly really help. Of course shorter hitters have a chance too but DJ seems to have all the firepower and more to get it done at Torrey, where he’s had at trio of Top 20s in years gone by. What is Nick Martin’s head and heart on Tiger this week? I have been a Tiger fan for as long as I can remember and I even had the iconic Tiger headcover throughout my junior years. As he heads to Torrey Pines this week, my HEAD will say that it will be great if Tiger can even make the cut but my HEART will believe Tiger can prove the haters wrong and pull off an incredible victory. I would also love to see some Tiger magic. Whether it’s a spectacular chip-in or an impossible hook around the trees, seeing Tiger pull off the unexpected will be a tournament highlight and will lift the spirit of golfers all over the world knowing that Tiger is back! What is Goldie’s head and heart telling him? Even though, Tiger will be rusty this week, considering Tiger’s last competition he led the field in birdies for the week at the Hero World Challenge, & that he has 8 Career Wins at Torrey Pines and the last time he made the Cut in the Farmers Insurance Open he Won the event in 2013…so my HEAD’s saying a Top 10 finish for Tiger with putting letting him down. My HEART, however, is wanting excitement with a course record 61 final round to beat his own record as well as miraculous recovery shots for the first 2 rounds to just make the cut. Plenty of fist pumps and fireworks all week would be ideal. Oliver’s head vs heart conundrum? Whilst I’d absolutely love Tiger to win at Torrey Pines I know it is more realistic than that. So my HEAD is going to say I’d be thrilled if Tiger finished in the Top 30 but my HEART will go for a Top 5 including a sensational final round of 66 which keeps us all guessing as to what he’ll do for the rest of 2017. Like everyone else in the golfing world my HEART would love to see the Tiger Woods of the early 2000s back this week. However, Tiger’s lack of golf is worrying and with a coming of the back of a long reel of injuries my HEAD is telling me Tiger may not even make the cut. Where do Rory’s head and heart lie?